Enjoy a tranquil reminder in your space with this cool pillow. Featuring a bold agapanthus lily pattern, this piece is sure to spice up your space. This pillow was made in India from front: 55-percent linen, 45-percent cotton, back: 55-percent linen, 45-percent cotton providing a reliable and affordable solution to update your decor. 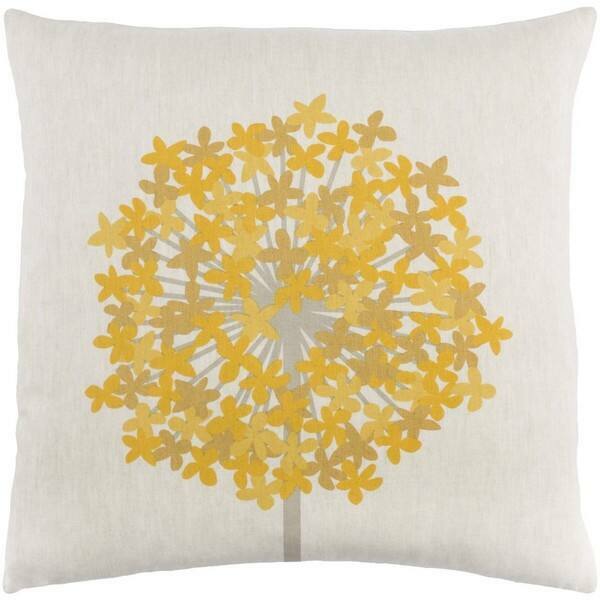 Use this pillow as an accent in the bedroom, or use it in the living room on a sofa or armchair for extra support. The design is versatile enough to suit any room in the home. This pillow texture was too rough feeling and overall looked a little cheap. I returned. When I took pillow out of packaging the smell was like visiting a farm. Decided to return it immediately.